Last week, life could hardly have got any better: I dined out on consecutive nights in two of Stockholm’s top restaurants. Scandinavians certainly have more than one string to their bow. If they are the undisputed masters of design, they also excel in the art of cooking. The outcome as a diner is that you not only get to eat fantastic food but it is also beautifully presented and you enjoy it in a designer setting. Every item, from the cutlery to the wall panelling has been carefully selected. At present, nordic cuisine seems to be leading the world and has tapped into prevailing concerns and taste: Scandinavian chefs are working with seasonal and organic local produce, and are coming up with dishes of the utmost creativity and quality. Unexpected subtle flavours are combined, yet the final blend maintains a strong nordic identity. It is terroir at its best. On Thursday evening I made my way through the snow over to Djurgården, to the edge of the island opposite the shipyards of Beckholmen and entered into the warmth of Oaxen Krog. The idea was to test a signature dish of one of the restaurant’s chefs, Emma Erlandsson, who reached the finals of Sweden’s most prestigious competition, Året’s kock, Chef of the Year. On February 5, Emma will be competing for the title against seven other finalists. “Practice makes perfect” so that is how I found myself sharing a table with seven other diners – six of them total strangers. 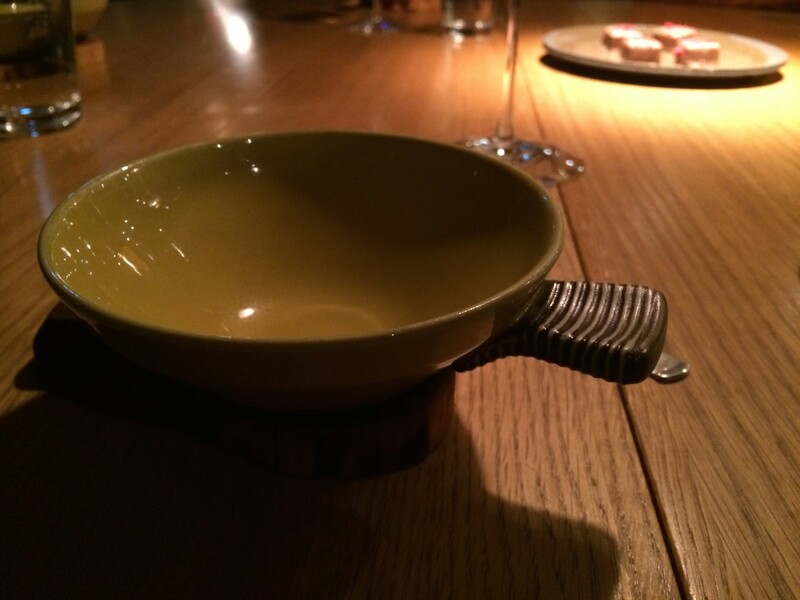 Our meal was to feature appetisers, a starter and dessert from Oaxen’s menu, and Emma’s dish as the main course. 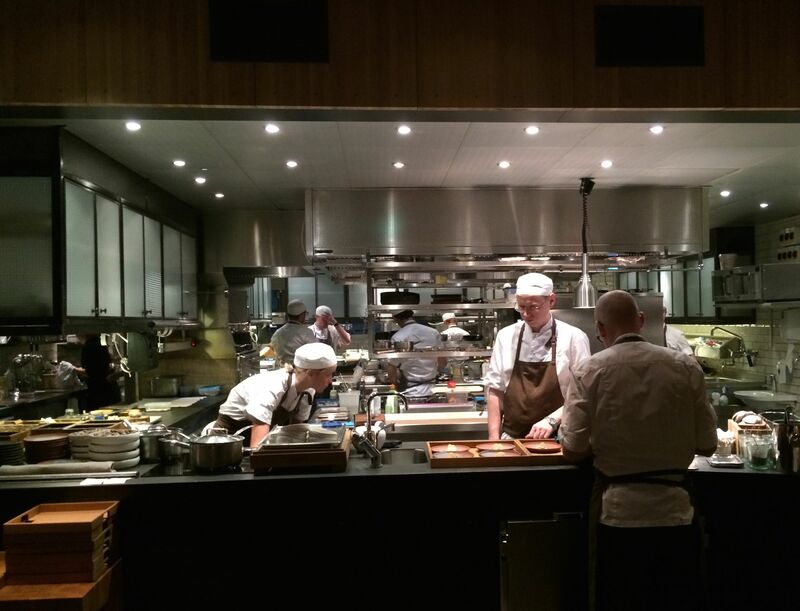 We sat at a table overlooking the modernistic stainless steel kitchen where staff effortlessly and in a relaxed fashion prepared our meal and that of the other guests at the krog. Amazingly not a clatter of a saucepan lid, or clang of kitchen equipment, or utterance, for that matter, was heard during the entire meal. 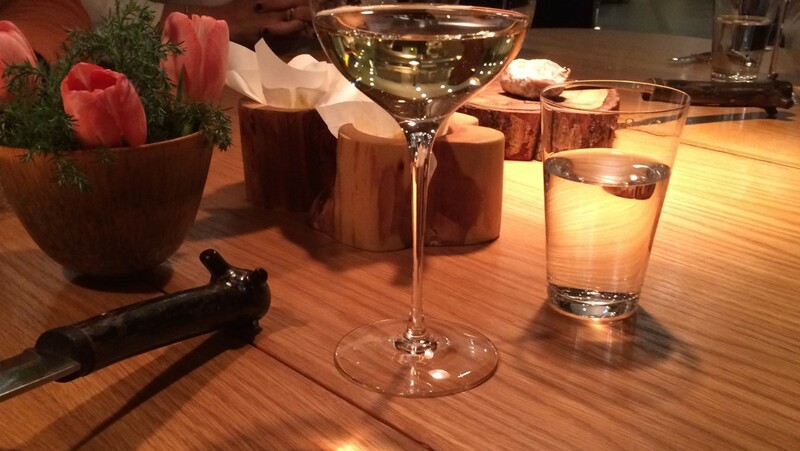 As we made the acquaintance of our fellow diners we were served a glass of Philippe Pacalet’s white Bourgogne Aligoté 2012 along with an array of small appetizers or tilltugg. The dishes were all different in character, varying from delicate to rustic and wholesome, yet all signalled their origin and connection to nature. 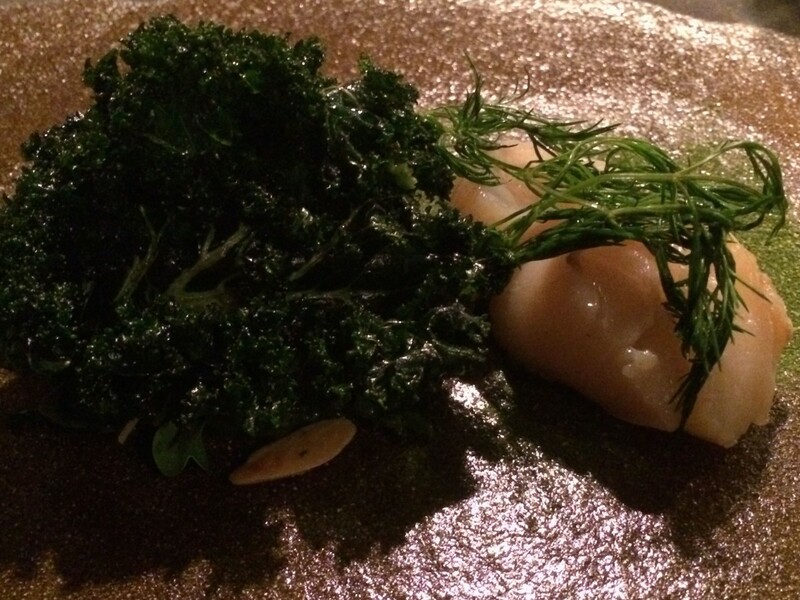 The pure crystalline-like Aligoté from winemaker Philippe Pacalet – renowned for using no SO2 during vinification and ageing – matched our earthy and fragrant starter, a scallop cooked in dill with kale, fennel and roasted almonds. The restrained aromatics and softness of the wine was in line with the sweet flesh of the seafood and allowed the gentle flavours of the greens to shine through. Our plates were swiftly removed, new glasses appeared on the table, the red wine was served and we all sat up a little straighter in our seats. The much anticipated moment had finally arrived. 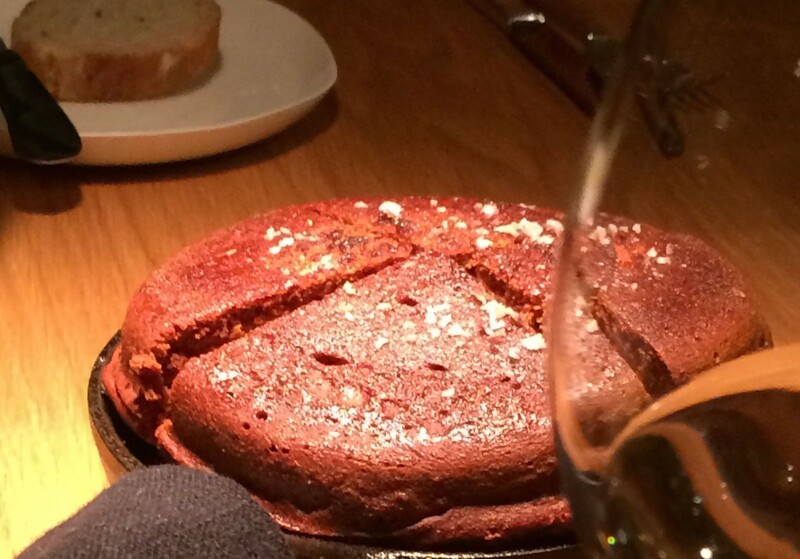 The main course, Emma Erlandsson’s creation, was laid in front of us. Emma herself came to the table and delicately spooned the sauce onto our plates whilst possibly checking a last time for any shortcoming. Each dish was beautifully presented and complex in taste, reminiscent of the principles of washoku 和食 (traditional japanese cuisine): harmony and nutritional balance are achieved through five principles. Every meal should include five colors go shiki (red, yellow, green, black/brown and white) and five tastes go mi (salty, sour, sweet, bitter and spicy). The food should be prepared in five different ways go ho (simmering, steaming…) and appeal to the five senses go kan (sight, sound, smell, taste and touch – texture in the case of food). The final set of principles are the five outlooks go kan mon, grounded in Buddhism and pertaining to how we partake spiritually in the meal. Clearly, such an experience with food does carry a spiritual dimension and is a celebration of the produce that mother earth gives us, of the workers that cultivate it and of the chefs that prepare it in such a way that our enjoyment of food transcends to intense appreciation of life. The red wine selected for the main course was, as with the white wine, a good match. Pian del Ciampolo, from Radda in Chianti in the centre of the Chianti Classico Zone is made from classic Chianti grape varieties, i.e. Sangiovese (or Sangioveto as stated on the bottle which is a synonym thereof), Canaiolo and Colorino. Incidentally, the soft and perfumed Canaiolo, now a permitted grape variety in the Chianti DOCG appellation, used to be the main grape variety in Chianti wine until the end of the 19th century when it was superseded by Sangiovese. 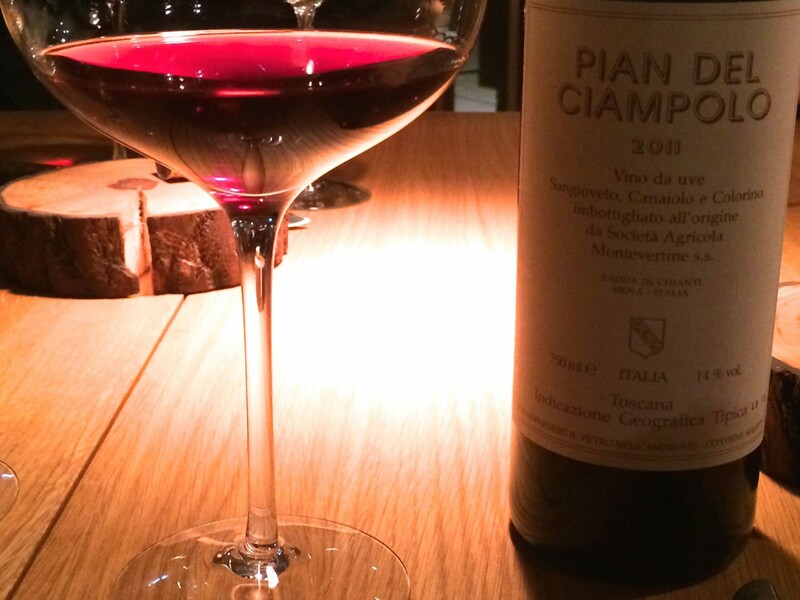 Pian del Ciampolo, however, is not made in the style of a traditional Chianti and has indeed been bottled under the IGT appellation (Indicazione Geografica Tipica). Red sapphire-like in appearance, with notes of cherries, red berries, flowers and liquorice, it has a youthful, light, fresh and pure texture and it did not overwhelm Emma’s dish. 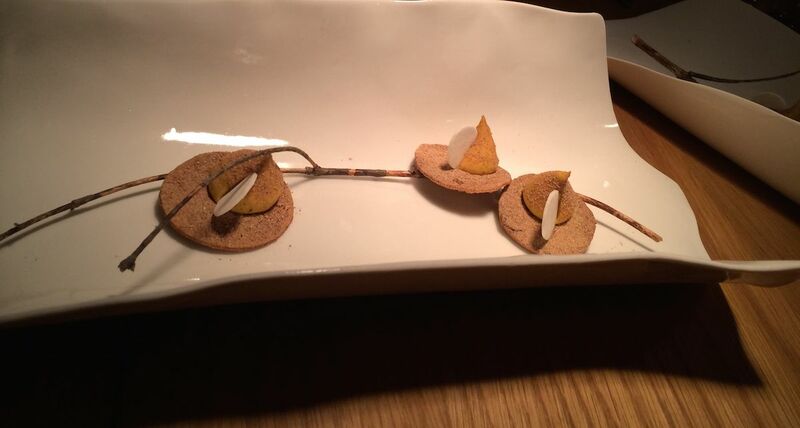 After submitting our feedback on the dish that Emma is entering for competition, we moved onto the next course, a stunning dessert from Oaxen’s menu. 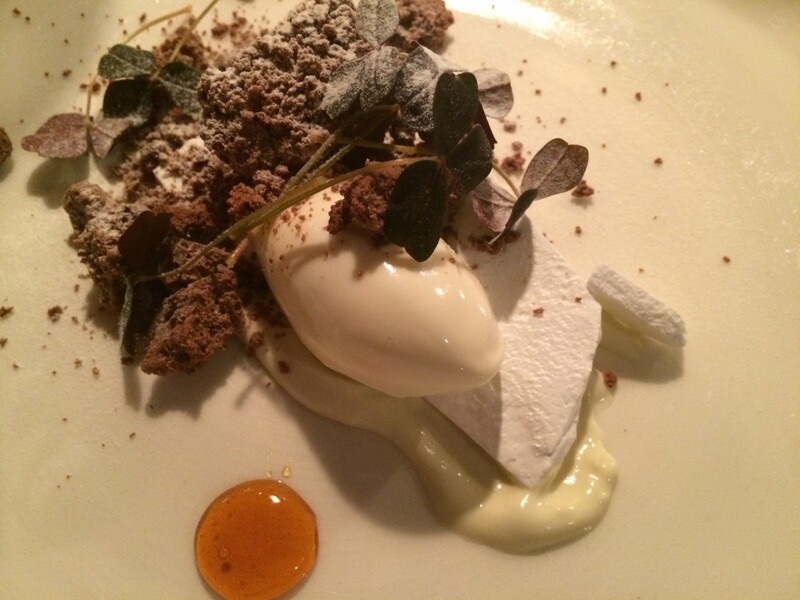 Sour cream ice cream with salted meringue, frozen lavender chocolate mousse and burnt Djurgård honey. Befittingly, the wine that accompanied the dessert was a refreshing ice wine, a sweet wine made from the juice of frozen grapes that are pressed whilst frozen. The wine in question was a Wehlener Klosterberg 2007, Mosel Riesling Eiswein from the producer Markus Molitor. And thus after a warming cup of coffee, this snowy evening where eight strangers shared a meal came to an end. 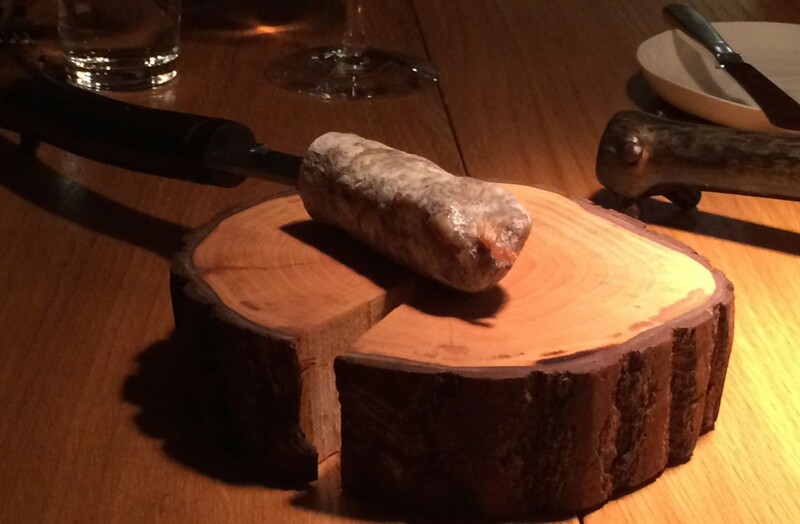 We shall return to Oaxen, soon, but in the meantime we wish Emma the best of luck for Årets Kock 2015.
perfect. i am hungry to visit!